MORE than 200 people from around the region and interstate last week gathered at a managing climate risk in agriculture conference held at the George Kerferd Hotel in Beechworth. The Farmers for Climate Action (FCA) – an advocacy group on the front line of climate change and creating solutions for the agriculture and food production industry – brought together primary producers and industry leaders as well as scientists and legal, health, and market experts. The FCA conference aimed to help farmers adapt and manage the effects of climate risk with sessions that included clean emission reduction, carbon management, financial and insurance solutions, and building rural resilience. Farmer, FCA chair and agribusiness leader, Lucinda Corrigan, said that a national strategy would assist the government take a lead role, help with funding and invest in knowledge gaps and being prepared. “It would help with laws and regulations required to adapt and adopt at a business and industry level too,” she said. Ms Corrigan said that this would include the state planning framework for renewable energy and innovation in the regions. With red meat industries already working to be carbon neutral by 2030, Ms Corrigan said investments required would be considerable to develop the new methodologies to mitigate emissions across the lamb, beef and goat industries. “A national strategy would assist that process as well,” she said. As industries moved at different rates, Ms Corrigan said most had developed plans to adapt to climate change such as the wine and dairy industries, with sugar industries and others following. North East Catchment Management Authority chief executive officer, Katie Warner, who opened the conference, said the North East was a place where sustainable land management for social, environmental and economic outcomes with agriculture of particular importance, was critical to the North East. “Without action on climate change what we value here and across regional and rural Australia, is under threat,” she said. Ms Warner said the authority is keen to be a part of planning for increased climate variability and working with industries and regional councils. 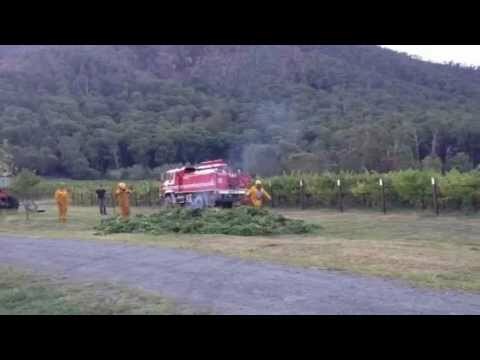 She urged the farming community to recognise the urgent challenge. In his keynote address, Melbourne University’s Professor Tim Reeves – a world-renowned sustainable agriculture and food security expert – said the greatest challenge faced by humankind was global food and nutrition security. “We have a rapidly growing global population increasing by 150 people every minute needing to be fed nutritionally,” he said. “Nutritional security is as important as food security. Professor Reeves said food production that could double in 30 years time needed sustainable ways to preserve water, land, and ecosystems, while improving agriculture and food production systems. Ms Corrigan said grass roots action was the important part of change, cultural change, community leadership, and building capacity. 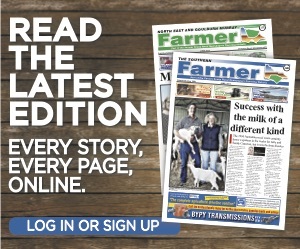 More farming news and stories can be read in the November, 2018 print edition of North East & Goulburn-Murray Farmer or click here to access digital editions.